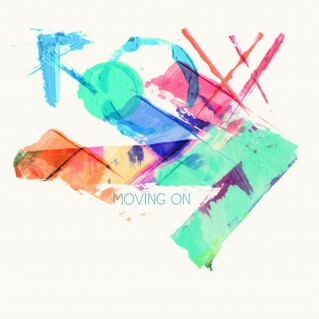 The second single ‘Moving On’ by ROOXX from the upcoming debut album. Beautiful miraculous vocals by Ringa Manner. Yes it’s a cliché, but for a reason. album’s finale. In between there will be a fresh palette of different sounds and sonic journeys. I wrote the melody for Moving On very fast with a vocoder freeware I downloaded 10 minutes before. I started to like the melody and thought I needed to make a song out of it. I immediately knew who’s voice I wanted on it – Ringa Manner – a Finnish female musician who I adore and whose vocal skills are miraculous. Fortunately she came by my studio to sing and together we put together some lyrics. I also asked my dear friend Paula Vesala to write the rest of the lyrics and she brought her fellow writer Scott Barnhardt onboard as well. I produced and coded it. Through ROOXX I present something pure that comes from a place I call creativity and imagination – the two sources that are 100% free of any human limitations. I am planning to put out a couple of more songs before the album release and also do some live shows in the summer of 2016, one of them at Flow Festival in Helsinki. I hope you enjoy Moving On. Debut single from the forthcoming debut album.